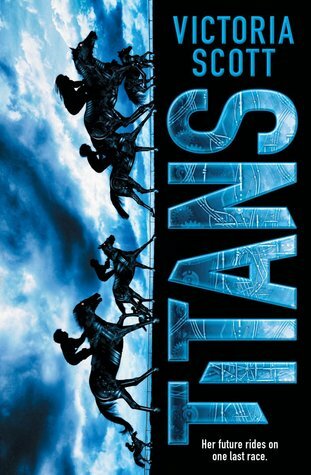 Sign into Goodreads to see if any of your friends have read Titans. 20.31% "This is absolutely RIPPING OFF The Scorpio Races. #rage"
Oh wow this book is just horrible! I mean, I get it you being a rabid Stiefvater fan wanting to find something similar, but what you got is a carbon copy of the book. It's really unoriginal and maddening because it's like the author just rips off the creativity of your favorite author and just doesn't seem to do enough effort. I hope your next read would be better! I didn't get far in this book when I tried reading it, but I will defend it in one way. I don't think it's trying to copy Scorpio Races (which is one of my all time fav books!). I read a ton of horse books as a tween and the truth is that they all copy each other. I can think of more than a dozen ways that Scorpio Races was like the Thoroughbred series, which is actually one of the reasons I love it. Despite being completely unique, Scorpio Races used a ton of classic tropes of the genre. I didn't like Titans enough to finish it, but I believe it is innocent of trying to copy Scorpio Races. Oh man, another rip off book from this author. I wasn't even aware this was another one of those before this review. Even though the premise sounded interesting, I won't be supporting rip off authors anytime soon. Great review, as always! I'll just read The Scorpio Races then. Scorpio Races it is, then. I have no idea why I'm so romance leery this week but the slightest trace of kissyfaces has sent me sprinting from the metaphorical room... which makes reading rather tricky. Thank you both! Thanks for the warning. I loved The Scorpio Races, so I'll skip this one.